TOWCESTER TAXI AIRPORT TRANSFERS 01908 263263 RELIABLE ROAD TAXI TRANSPORT: Brighton Council Explain Why They Never Relicensed Uber. Brighton Council Explain Why They Never Relicensed Uber. It’s official: Uber’s application for a new license in Brighton has been rejected by Brighton and Hove City Council on the basis that the company is not a “fit and proper” private car hire operator. She added: “All Brighton and Hove private hire and Hackney Carriage drivers in the city operate under the same licences and guidelines contained in the Blue Book and undergo the same background checks, whichever company they drive for. “In the original application in 2015, UBL gave a firm commitment to adhere to the standards set out in the Blue Book and only to use Brighton & Hove licensed drivers. We do not feel the spirit of this commitment has been kept to. “In the panel’s view, large numbers of taxis operating in the city that do not meet our Blue Book standards puts the safety of residents and visitors at potential risk. The announcement comes months after Transport for London (London’s transport regulator) decided to strip the firm of its license, based on concerns about Uber’s “approach and conduct” and passenger safety. Speaking about the move last September, TfL concluded that Uber had shown “a lack of corporate responsibility” with regard to potential safety and security issues. “Private hire operators must meet rigorous regulations, and demonstrate to TfL that they do so, in order to operate,” said TfL in a statement. In all this time, TfL has refuse to talk about the increasing amount of Uber rapes and sexual assaults. Uber parapet rose last year by 50% to over one a week. Also TfL swept the 13,000 fake DBS certificates scandal, under their carpet. Uber has announced its intention to appeal both London and Brighton’s “disappointing” decisions. 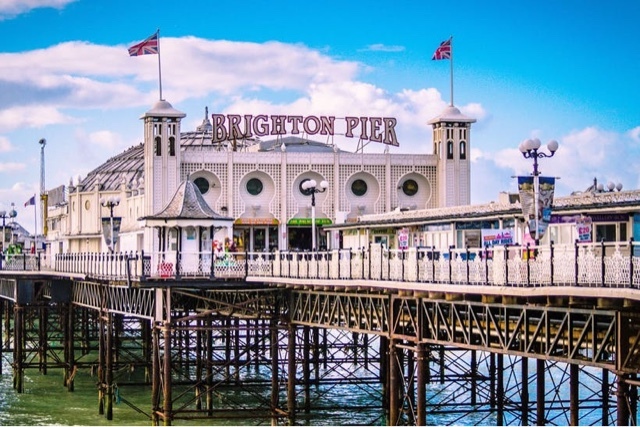 Addressing Brighton’s ban on their cars, a spokesman for the company said: “This is a disappointing decision for the thousands of passengers and drivers who rely on our app in Brighton and Hove. Uber is licensed to operate in 80 areas across the UK, having succeeded with 35 applications in the last year, including in Cambridge, Glasgow, Nottingham, Leicester and Sheffield. The firm – which has also seen its license to operate revoked in York – has since taken steps to comply with various initiatives in London to improve safety, and its appeal against TfL is due to be heard in the high court in June. However, it emerged last November that Uber, which has 75 million users across the world, had concealed a hack that affected 57 million customers and driversin 2016. It was hidden by the company which paid hackers a ransom of $100,000 (£75,000) to delete the data. At the time, Uber’s chief executive Dara Khosrowshahi told the BBC: “None of this should have happened, and I will not make excuses for it.